Our center is led by a team a subspecialty trained, board certified physicians dedicated to caring for our patients and the community. 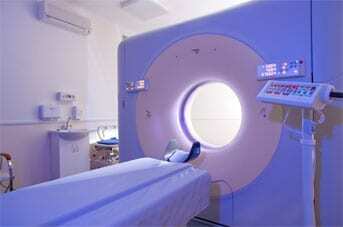 We offer a wide range of radiological services with state-of-the-art equipment to meet all of our patients' needs. With two Orange County locations, Hudson Valley Imaging is conveniently located . Plus our New windsor office offers Saturday hours. As the areas first all-digital, filmless diagnostic imaging center, Hudson Valley Imaging has been providing excellent patient care to Orange County and the surrounding areas since 2003. Our center is led by a team a subspecialty trained, board certified physicians who are dedicated to caring for our patients and the community. Our radiologists combine the most current medical developments in radiology into a wealth of training and experience, allowing us to bring you a level of patient care that is unsurpassed. The certified technologists and professional staff at Hudson Valley Imaging will guide you through the steps necessary to ensure your img are the highest possible quality and that your visit is comfortable, efficient and pleasant. Please feel free to share any questions you have about your procedure or exam. At Hudson Valley Imaging, we are committed to delivering excellent medical care to you and we want your experience to be a great one!